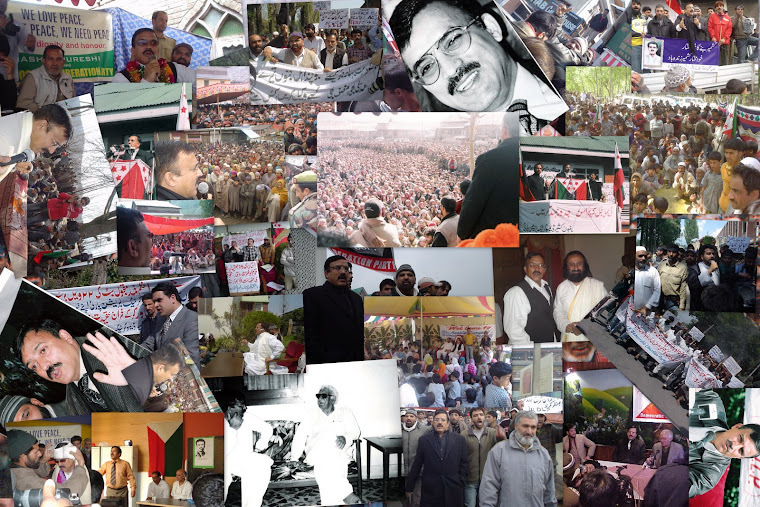 As election fever ran high in Kashmir, mainstream political parties used their rallies, meetings, media etc. to repeatedly convey to the people that they would take care of their basic needs and day to day requirements if returned to power. This was their election plank. They meant to say that necessities like drinking water, electric power, roads, jobs and medical health etc. would be improved although the fundamental issue of the state remained where it was. Unfortunately, sentimentality is the bane of our people. They believed in these commitments and promise of the mainstream, parties and cast their votes in full strength. 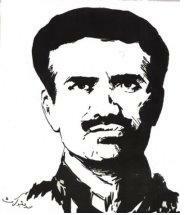 But only a few months back the ”ragda movement” resulted in the martyrdom of no fewer than seventy-five youth. People forgot that only a few months ago martyrs had sacrificed their precious lives. However, the separatists, too, have to share the blame in the sense that they carried forward the movement out of sheer sentimentality and without closing their ranks and without forging unity among themselves. The result of this type of miss-management is that despite making precious sacrifices, people get exhausted and prefer to stay indoors. People never asked the mainstream parties that while they were promising to fulfill all the basic requirement of day to day life within the next tenure of six years, what happened during the past six decades when they had been enjoying power. When nothing could be achieved in this regard during six decades, what magic wand is in their hands to accomplish the job in six years? In any case, under the leadership of Sonia Gandhi, a coalition government of National Conference and Congress was formed and Omar Abdullah was installed the Chief Minister. Many persons against whom allegations of corruption and nepotism had come to light were re-inducted into the new coalition ministry. About the chief minister, there was media hype that as a young and energetic political leader he would no doubt solve all outstanding problems of the people. Intense propaganda created a ray of hope in all the three regions of the state that things would change for better. 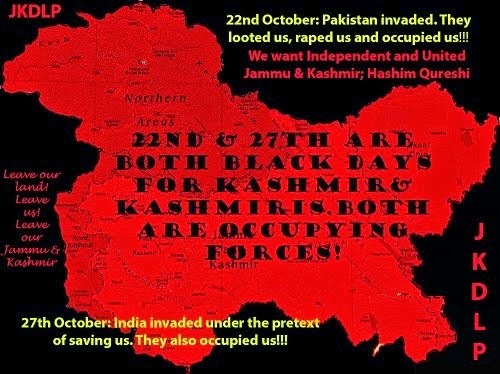 But gradually all those expectations evaporated in thin air because just after one year the longest ever strike took place in Kashmir which consumed nearly 111 precious lives including innocent children. State economy suffered nearly 84 thousand crores. Since the state has been deliberately made a consumer state, therefore it is the common man in Kashmir who had to suffer this loss. This brought a fatal blow to the state’s commercial health. Employees in private sector have been shunted out; services of salesmen have been dispensed with. According to one estimate, nearly a hundred thousand employees have been rendered jobless. This is the reason why in the absence of any considered planning by political parties and politicians, people have resorted to full scale and long term strikes in schools, workshops, business centers and all other institutions thereby bringing severe damage to their own economic life.And strange to say that these very people themselves put a halt to the strikes voluntarily. At that time I had said in very clear terms that by asking for the strikes in schools for a long time, it would put a heavy burden on society, which it may not be able to carry. Then there was durbar move and the valley and Ladakh regions were left in lurch. Now people fail to understand whether there is anybody representing the government and its administrative institutions here. All that exists here is the presence of the police and security forces, their tyranny, and their brutal attacks. In other words nothing exists in the valley except the police and security forces. For example, in the matter of supply of cooking gas, we have repeated official announcements that there is no shortage of gas. But the reality is that people keep standing in queues for hours at end in the cold weather awaiting their turn to replace the cylinders. Retail shops of various gas agencies usually remain closed. The gossip is that liquid gas is not supplied only to commercial institutions, hotels and various state offices but some gas agencies have appointed vegetable venders, general stores and petty shop keepers also as their sales agents thus opening the scope for black marketing of gas cylinders. It is alarming to note that in absence of necessary safety precautions, a tragedy can happen at any of these vending sites for liquid gas which would endanger human lives. In black market a cylinder is sold for anything between 400 and 460 rupees. Food and Supplies Director has switched off his telephone so that he is not pestered by calls from consumers seeking redress of their grievances. This writer made scores of futile attempts to reach him. But once when he lifted the receiver, he did not like my asking why gas was not available in Bren, Nishat and Shalimar localities. He shot back saying how come I had suddenly developed care for the masses of the people? Was this the promise made by the political parties at the time of election? The situation of power supply is hopeless despite so many people having written angrily on either lack or irregularity of electric power supply. Administration has not paid any attention to this important grievance of the people. Instead of building small power generating units, there are announcements of building mega projects for generating power but these seldom get translated into reality. Power generating units are given on contract and according to agreements made; the state receives only 12 to 16 per cent of total power produced. PDP accused the chief minister of having received kickbacks to the tune of 500 crore rupees for allotting the contracts to the bidders for power generating projects. Kashmir has the capacity to produce twenty thousand megawatts of electric power but actually not more than 1200 to 1300 megawatts electricity is produced. Keeping in sight the flip side of our national character, it has to be said that there is pilfering of electric power not only by the poor and needy but also by the affluent sections of population. It is reported that there are numerous cases of perforation at night by getting a direct connection with the main line. I have myself seen people hooking up to the main supply line and pilfering power to boil water. And many of these pilferers usually sit in the front row in the mosque to pose as honest and pure persons. In many hot baths attached to the mosques, water boilers are being used to heat water for performing ablution and then offering names. In most of private houses, not only are heaters used but big boilers have been installed for heating water for daily use. This has been the reason why transformers in many localities are burnt and need to be replaced. True that people here need electricity and they have a right to keep and use devices and gadgets that run on electric power. But the condition is that electric charges have to be paid as we find in European countries. That is not happening and not only that the electric department is not receiving full revenue nor can the department purchase more electricity. It has to be said that the employees of the electric department are 80 per cent responsible for power pilferage. It is these employees who teach consumers how to do the theft and not only that, it is also reported that it is they who give unauthorized connections to some of the people who grease their palms with monthly cash doles. These corrupt employees ensure that in case any team from electric department comes up for spot checking, their clients are pre-informed and they take precautionary measures to hoodwink the checking teams. And anybody does not oblige them with “chai”, and then he is doomed to pay a perforated electric power consumption bill. The unfortunate thing about this nation is that those who claim to be highly religious, too, consider bribery something permissible. A middleman at the marriage facilitating bureau exaggerates the income of the girl’s parents by saying that apart from regular salary, the father of the girl or her ward has superfluous (pethwaen) income as well, meaning the money gotten through bribery. Bribery is much more polluted than a pig. It would be advised the bribe takers eat something very dirty rather than eat up the rights of the people by extracting bribe money from them. Government’s anti-corruption policy is to catch a peon red handed for taking a bribe of just paltry sum of forty or fifty rupees. But nearly three hundred files incriminating some top ranking government officers during the days of ex-Vigilance Commissioner are gathering dust in the cupboards of the Vigilance Department. When corruption is rampant from top to bottom, then who will evince even the faintest interest in eradicating it. It is not at all difficult to get hold of a corrupt person, by finding out his life style, the house he lives in, the vehicle he uses, where are his siblings receiving education and in his normal income and from what source. Corruption destroys society and ill gotten money leads to scramble for competing others in amassing wealth and the rights of deserving parsons are trampled under foot. Department of Food is a case in point. Gunny bags full of rice are provided for distribution among the poor people but these are sold in black markets. The site clerks (ghaate munush) of Food Department have been seen driving expensive vehicles, they have mansions to live in and they have purchased landed properties in different names of their relatives. This is true of ordinary clerks and what bizarre loot is made by the officers and senior of the Department is anybody’s guess. This is also true of PHE Department. Our sisters have to cover three or four miles in this bitter cold to fetch water for drinking and cooking purposes and that too polluted and unfit for use. What happened to the promises made at the time of voting? The case of the roads is no better. If a road is made once, it is left unattended till all of its traces become invisible. Newly built roads have to be maintained on yearly basis. Then alone can we say that there is dependable connectivity. If a VIP of the ruling group happens to pass through a road, the department hastily fills it potholes with raw earth just to let his car pass. The ruling party has invariably given contracts pertaining to building roads, filling nullahs and raising buildings to the brothers and the kith and kin of MLAs or top ranking office bearers of the ruling party. It is found that they do not spend eve one–fort of the total amount for the specific work allotted to them. This is how this department, too, eats muck instead of serving the people and providing them relief. About the condition of the Department of Health the less said the better. There is only one maternity hospital in Srinagar called Lalded Memorial Hospital. While expectant mothers give birth to the future generations in this hospital, it has been found that dogs and cats roaming freely around also give birth to their new progeny simultaneously. In this hospital, every mother giving birth to a live or dead infant has to give the bribe in any case. A disjointed electric wire is hidden under the tape of plaster. Dirt and filth lie in heaps inside and outside the hospital. A glance on SKIMS, SMHS, and JP Panth hospitals tells the story of ruination of this nation’s health centers. Many pharmacies have sprung around the hospitals, and usually, drugs meant for the patients in government hospitals are stolen from the stores and sold to these pharmacies on cheaper price. Poor patients are forced to purchase drugs from open market and go through medical tests at private clinics where they have to pay. Doctors have almost forgotten the sense of responsibility to the nation. They come to the hospitals at noon and leave the hospital two and half an hours later to continue their private practice at private clinics. This is how a patient is virtually looted. Many modern and sophisticated machines in the hospitals are dysfunctional and are not fixed for years at end. May be those whose duty is to get these repaired misappropriate the money meant for repairs. The lifts in hospital vital for patients, who can move with difficulty, are out of work. Lift boys have become office bearers of labour unions only to blackmail the administration. Thus patients or their caretakers have to go up and down to seventh or eighth floor almost panting for breath. Almost every department of the hospital seems paralyzed. As a result private nursing homes and clinics have mushroomed in the valley. Doctors of government health department are found conducting operations in private clinics and nursing homes. It is the sweet will of the owners of nursing homes how much fee they would charge from a patient admitted. Along with these privet clinics private pathological unites too have mushroomed extensively. If a patient goes to any so-called well reputed clinic for tests, he is charged exorbitant fee running into several thousands of rupees. The test fee is to be paid in advance. Imagine a poor patient coming from a far off village for tests has five hundred or a thousand rupees in his pocket but needs the test the same day. He cannot proceed because he has not the full amount available with him to pay on the same day. He has to go back to his home and arrange the requisite money and come back to get himself medically tested. The practice in all big cities in India is that the patient pays some advance for clinical tests and the balance is paid at the time of receiving the complete report. Apart from this, the fees charged for various tests here in Kashmir are usually four times more than the amount of fees charged anywhere in any city of India. What can be said about this state of affairs? The Health Minister of the State has only one job to perform and that is of trifurcating the state. The condition of the department of education is no better in any way. A cursory look at the matriculation examination result will show the status of our education as it stands today. I was fortunate to have very respectable teachers when I was a school child. Among them were late Abdul Ghani Zargar, late Abdul Aziz Dar, Kashinath Kaul, Kashinath Raina, Shamboo Nath, Khadim Sahib and Kamili Sahib. They considered teaching no less than praying to God. In schools we find the teachers usually coming at 11 AM and leaving around 2.30 PM. 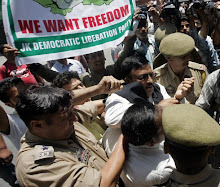 We learn that some of the influential teachers have contracted assignments with the All India Radio Kashmir. This state of affairs in government schools has encouraged private entrepreneurs to open private educational institutions which have become blood suckers. They demand anything from twenty thousand to fifty thousand as admission fee. They pretend that they have no vacancy for fresh admission and in this way they are perpetrating general loot of people who want their wards to receive education. These institutions have devised novel ways of extracting money from students or increasing the fees,Thus we find that in Kashmir, an ordinary man is faced with immense hurdles in finding treatment in hospitals, in finding admission to his ward in schools, in having civic facilitates like drinking water and electricity and day to day necessities of life and survival. Prices are touching skies and there is no control on prices anywhere. If the government thinks that by forcing people to take to thefts, burglaries, bribes and general loot it will get rid of the nuisance of good governance, let me say that this is foolhardiness. Effective revolution ultimately surges from the hungry stomach. Omar Abdullah and the Indian leadership should scan the pages of the history of France and China. This article was published in daily 'Greater Kashmir' on 25th January 2011.